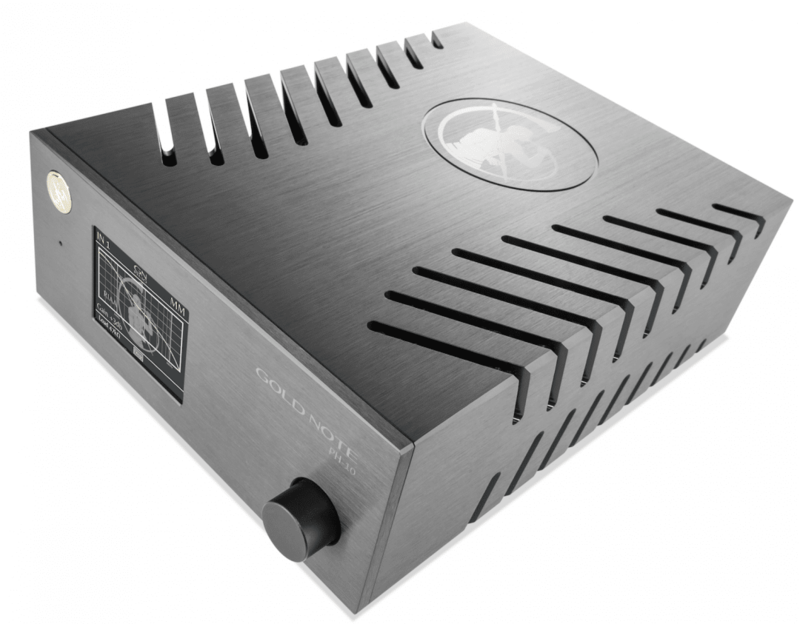 Possibly one of the least understood and under-estimated components in the entire hi-fi chain, the phono amplifier is a specialist amplifier that is designed to do one thing and one thing only, amplify the tiny signal emanating from your turntable’s cartridge. Generally speaking, once the signal gets to a certain level, then the main amplifier takes over from there. 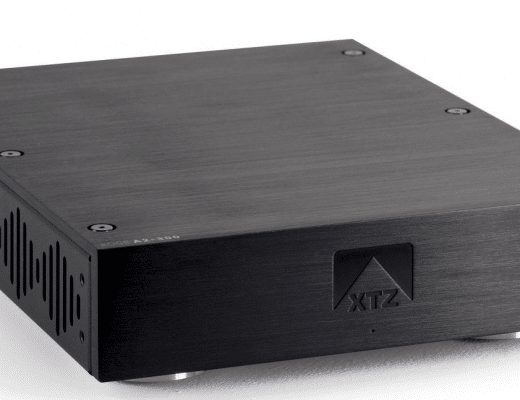 The problem with phono amplifiers is that they are often seen as minor irritations by audiophiles rather than – what they are – a critical component. If the signal is cocked up here then forget the main amplifier and speakers. It’s damage limitation from this point onwards. 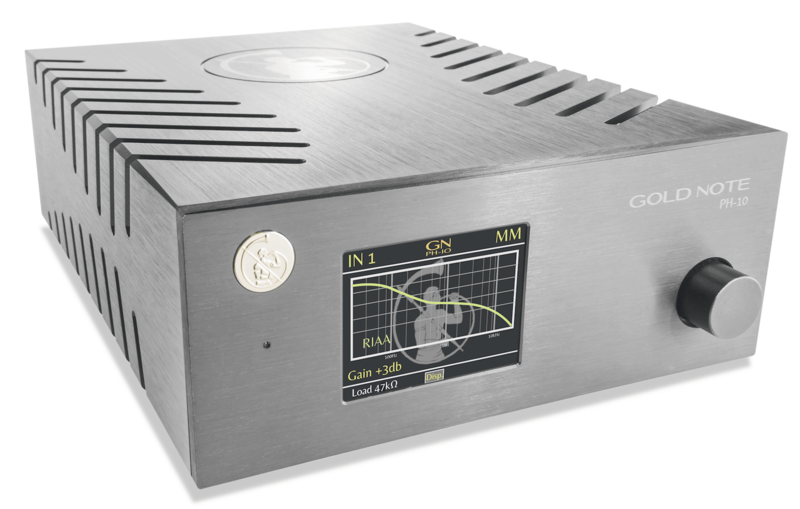 A phono amplifier can make or break a vinyl performance. 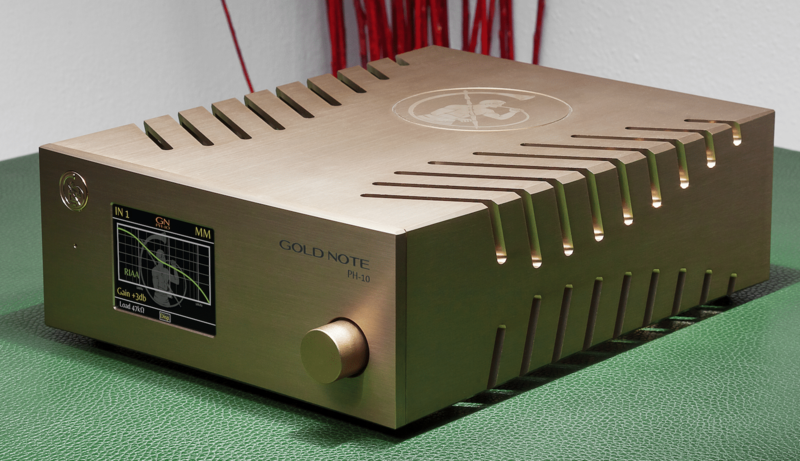 The design of this particular phono amplifier is intriguing. 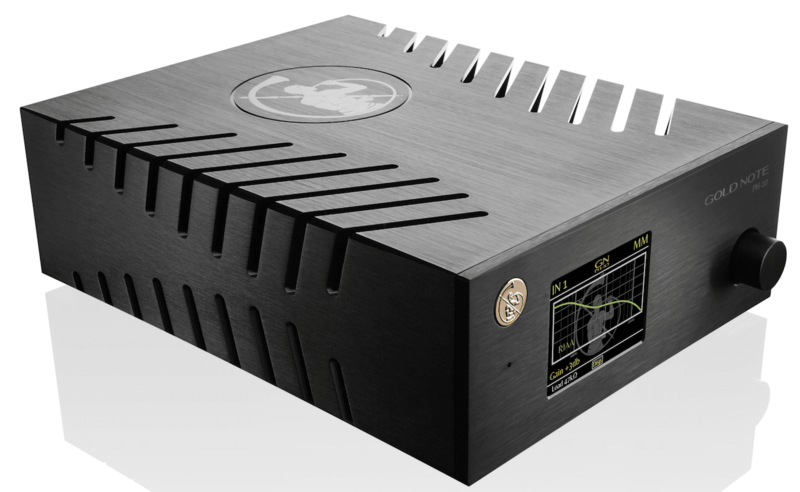 Spanning 200 x 80 x 260mm and weighing in at 4kg, it reminds me of a modern network player in looks. Something from Naim perhaps? Well, Naim with added elegance. It doesn’t look like a phono amplifier, though. The angled cooling vents over the main body of the aluminium chassis, the colour TFT screen on the front and the selector switch. The only thing I dislike is the gold logo sticker on the top left of the front fascia. It looks like gold foil covering of a chocolate coin. Something from a Christmas stocking. Tacky. I am happy to shake the hands of the designers on one thing, though. The negation of DIP switches. 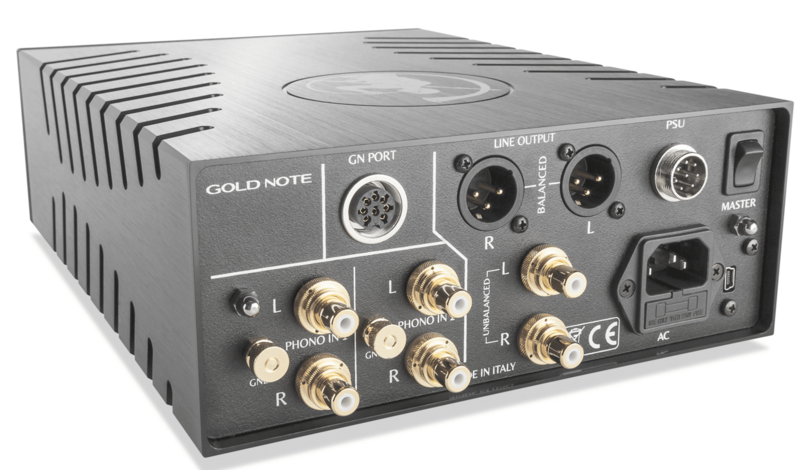 Surely works of the devil, they are often used by phono amplifiers at this price point and under (come to thing of it…and over) for numerous and very sensible reasons but I still despise the finicky little switches that often need a night-school course at Bletchley Park to understand. Instead of DIP switches, here you enter the loading and output via that front-mounted selector switch. You’re given nine loading options (10 Ohms to 47K Ohms) and four output figures (-3db to 6db) to choose from. 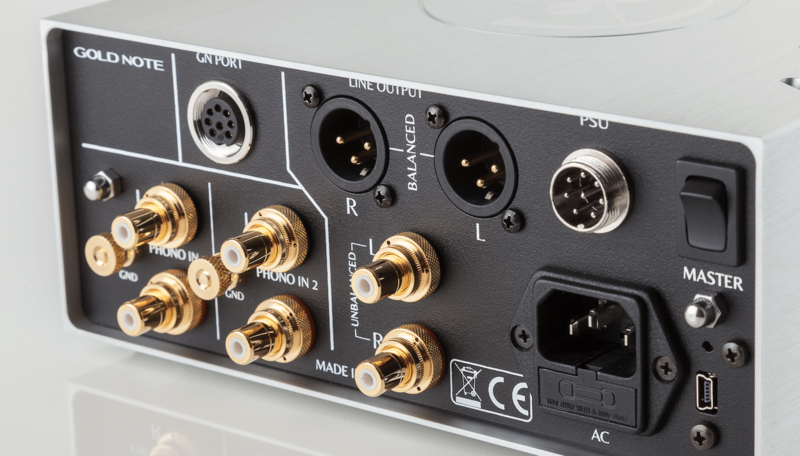 Connections on the rear include two sets of phono inputs (so two turntables can be attached at once), balanced or single-ended outputs plus a connection for an external dual-mono PSU-10 power supply – not reviewed here, I’m afraid. A USB port is featured for future upgrade purposes. 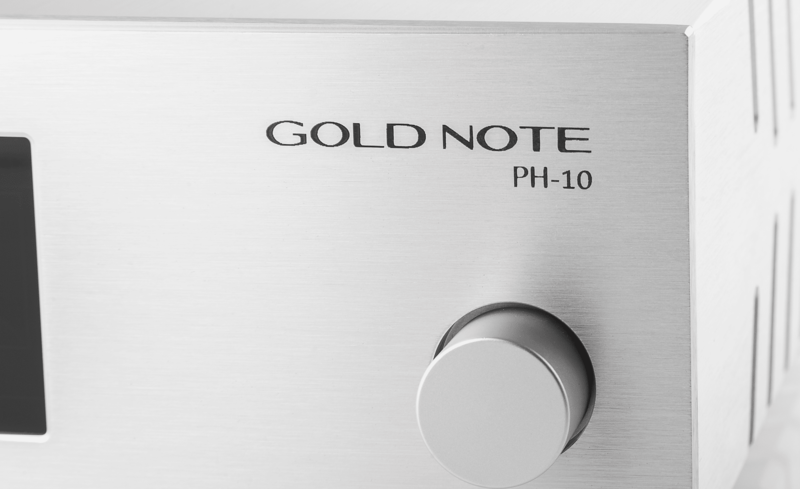 To use the unit, finished in black, silver or gold, you press the selector switch inwards for three seconds which brings the PH-10 out of stand-by. From that point, you can scroll through the options moving the switch left and right with a press inwards to select the option. Music is muted if you’re doing this while actively playing music. One of the available features is the selection of three different EQ curves: RIAA (the most often used EQ curve nowadays) plus Decca-London and American-Colombia. Useful if you care about such things. Despite the early adoption of RIAA, you’d be surprised at how many records there are out there, from around 1980 backwards, that don’t utilise RIAA. You see, there was a difference between agreeing to RIAA and actually doing something about it so some record labels were a bit tardy. 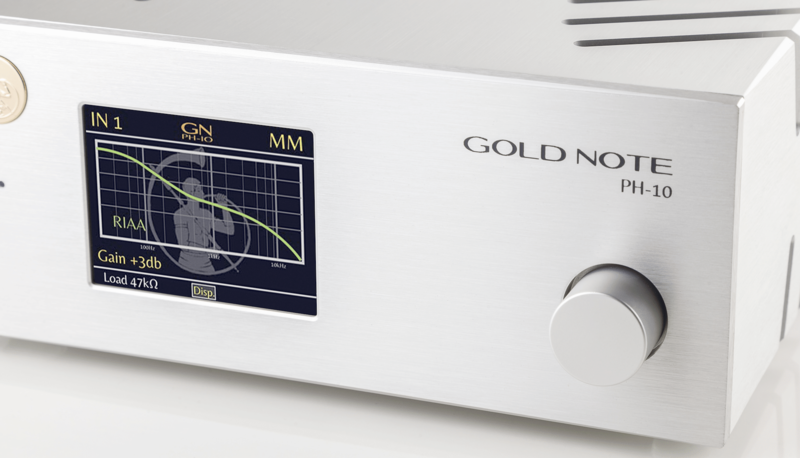 Gold Note goes further by adding an ‘enhanced’ version of all three, something I also recently saw on a iFi phono amplifier, effectively giving you a full choice of six curves. I began with an MC configuration and a standard RIAA curve and a copy of Joe Jackson’s high energy jazz LP, Jumpin’ Jive and the track, Jumpin’ with Symphony Sid. To begin, I ran the PH-10 at zero gain but found the unit was a tad sharp in the upper frequencies for my cartridge. It’s solid state approach a bit too edgy so I decided to ask the phono amp to back off a bit, reducing the gain to -3db. This exercise was a good one because it showed how the PH-10 could be changed on the fly and results could be compared instantaneously. Each change muted the music but a second or two after the change was instigated, back came the music and the alteration could be judged accordingly. Here, my gain reduction hit my cartridge’s sweet spot. This resulted in a low noise output with a clarity that draws you into the music. Your ears feel free to roam around the inside of the soundstage, picking up nuggets of information at leisure. The PH-10 calmly did its job, so you never feel rushed or tense when listening. There was no cramped upper mids and no pinching of the treble so you tend to relax into music. Overall, the soundstage was neutral but never dull. Detail flowered across the soundstage like a well populated garden. 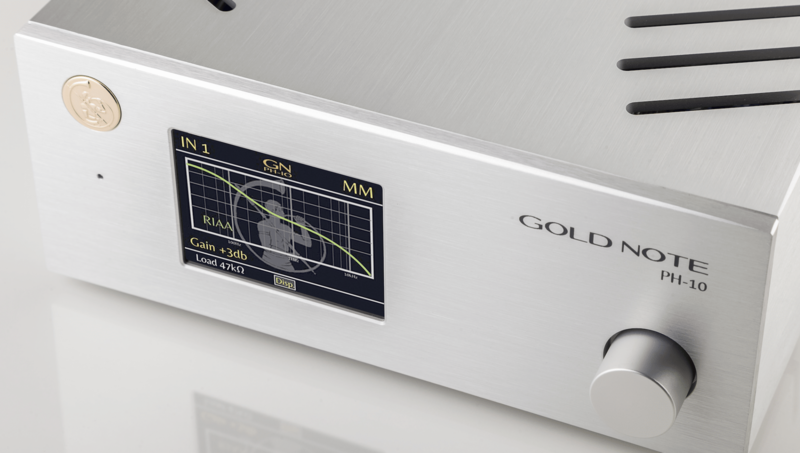 Yes, compared to much more expensive phono amps, the very tip of the dynamic range was a touch blunted but I would be horribly picky to even see this as an issue. Actually, that comment is in itself a compliment because I’m hunting for problems even compared to expensive models. 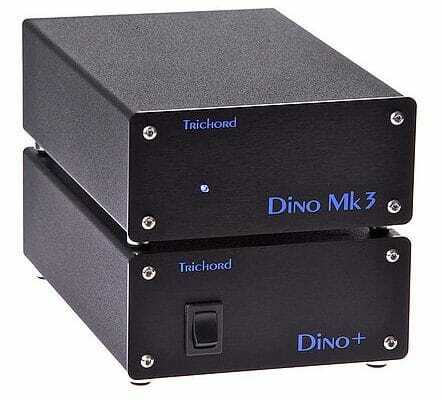 That is, the differences between the PH-10 and a phono amplifier at double the price are small indeed. So, the lead vocal was beautifully emotive and textured, treble performance was sublime, piano and percussion around the midrange was calm, informative and transparent while bass offered a character that pushed the track onwards, ever onewards. I then turned to Doris Day on the CBS label and the track, Night Life, from 1963’s LP, Love Him. To be frank, I had no idea if this LP was recorded using RIAA or Colombia’s own EQ curve but my own curiosity was peaked, so I gave it a go. The difference could be heard immediately. At the beginning of this track, to contrast with the song’s title, the backing orchestra mimicked the busy, bustling, car horns and other noise of day time. This sequence, in RIAA mode, was horribly edgy and bright with the brass section barking its head off. Day’s vocal was also surprisingly offensive, her vibrato sounding pregnant with resonance while her crescendos actually attacked the ear. Changing the RIAA to American-Columbia was a great relief, I can tell you! 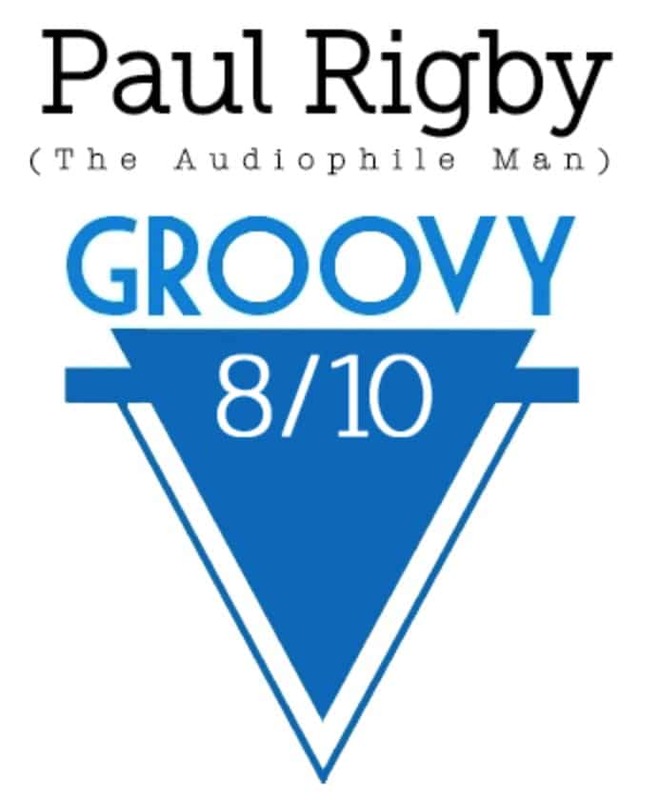 I was able to up my main amplifier’s gain by a single click to bring the volume to a normal level, the soundstage opened up, the backing orchestra was now calm and informative while the brass section was no longer tense and harsh. Day, meanwhile, was her normal sultry self, easing into the song in a naturalistic manner. I was convinced that this LP had been mastered with a American-Colombia EQ. I then selected the Enhanced version of the American-Colombia EQ which added a touch of emphasis. The music gained a bit of extra precision but was too sharp for me. I can see the appeal of this EQ but I preferred the original American-Colombia. That said, it’s nice to have the Enhanced option for individual LPs. You never know when it might come in useful for a American-Columbia EQ’d LPs that have been mastered in an overly dampened fashion. Next up? The moving magnet option and the Beatles parody LP, the self-titled album from The Rutles and the track, Cheese and Onions. Again, the overall feel of the presentation was a neutral one although there was plenty of natural stress on particular words or phrases when required. Again, being picky, I would say that the MM option was delivered with slightly less panache than the MC route, adding a tad more edge. That said, there was nothing to disturb the ear here and, heard in isolation, the MM option performed well. Vocal emphasis was successfully tracked by the PH-10 within the midrange while the piano’s complex tonal information was also clearly heard, the lower frequency keys being nicely resonant. On this track, the violins and cellos were a growingly significant feature. The bow movements were easily heard here while the power of the cellos was successful translated. 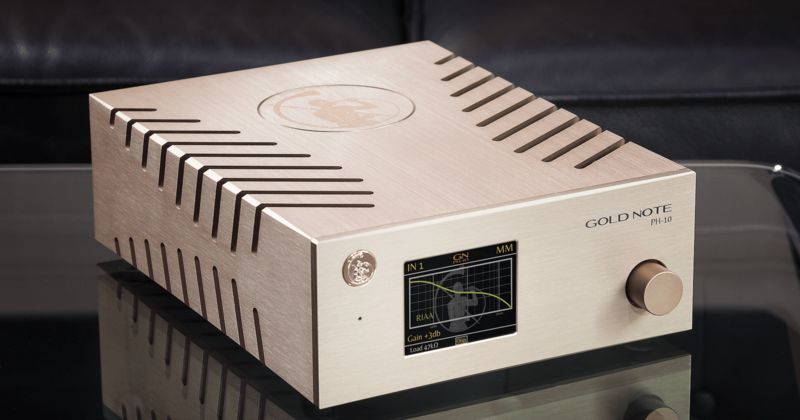 An excellent phono amplifier that not only sounds good but also offers a genuinely useful feature set. 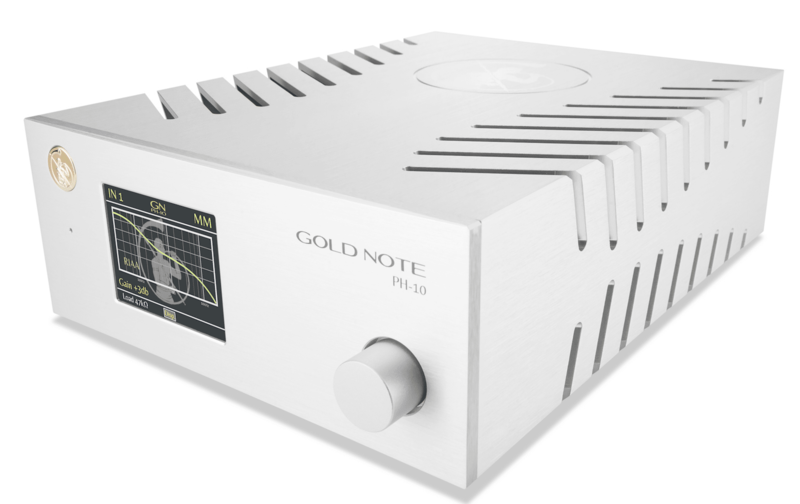 Well designed and built, easy to use and with a great price point, this phono amplifier offers value for money. 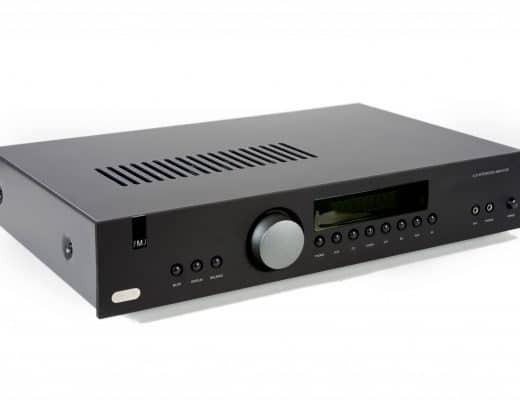 Arcam FMJ A19: The heart of a vinyl system? Another Great review. If i ever buy a separate phono stage this will be it. 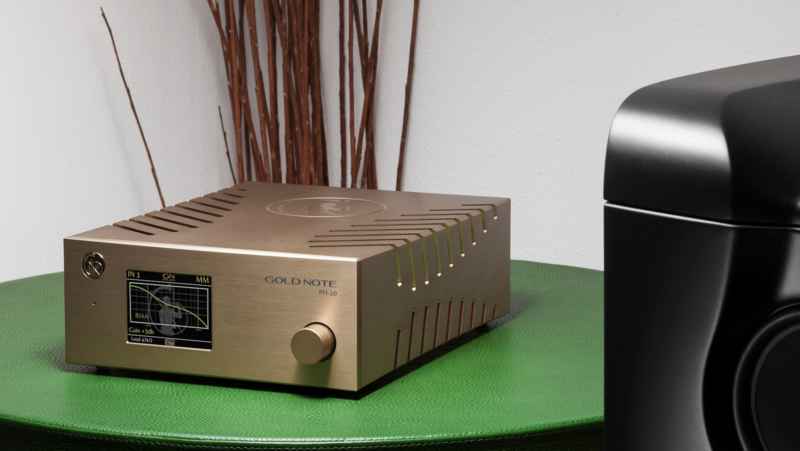 The Gold Note PH10 and EDGE A2-300 both recently purchased are making great music. Thanks Paul. Great stuff – Peter! Glad I could be of help. I have a GSP Revelation M/Russ Andrews Power Supplier combination which is fed by a Cartridgeman Musicmaster (current version) which, as I’m sure you know is based on a Grado moving iron design giving pretty much mm output. The Revelation M has a combination of switches which allow some fifteen EQ curves. I have prepared a recital CD-R of a 1987 reissue of Benny Goodman’s 1938 Carnegie Hall Concert. It became obvious that even at this stage the RIAA EQ curve was was sounding thin and two dimensional. Presto – apply American Columbia Curve results in a much fuller and more detailed sound with a much greater portrayal of the Hall’s acoustic. Comment from a man I respect (he has his own radio programme) was that he was hearing this recording properly for the first time. My comment is that it gives way to a really good modern recording but not by much. It most certainly doesn’t sound like an 81 year old recording. Fascinating this hobby of ours. I think Graham Slee is still making the Revelation to order but he does have a later development called the Accession. This has three EQ curves, including the Telarc curve (useful for DG LPs) but this is fair enough as I probably don’t use more than three on my Revelation. The most thorough implementation I’ve seen, though, is devoted to 78s and comes from Timestep as the T-01EQ 78rpm Equaliser Preamplifier. Click on this link and scroll down to find details, if you wish: http://www.78-rpm.com. Actually, if you keep scrolling there’s more goodies below.